COROB D200 is your new small and reliable dispenser. It can be personalized with your business logo and identity, providing a valuable new element in your branding and promotion strategy. An ideal automatic dispensing solution for stores where low to medium paint volumes are tinted. 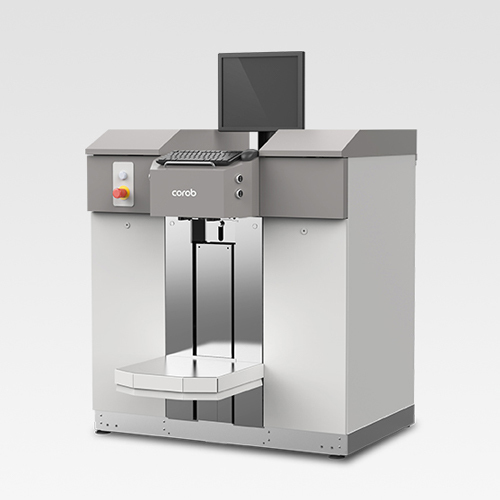 The dispenser COROB D200 is available in three versions: countertop, Floor-Standing and Tower to meet the most demanding requirements. COROB D200 is the dispenser which allows precise and highly reliable application with a quick and easy maintenance. Designed for painting of small and medium-sized packaging and sometimes larger, provides reliable and accurate performance in life, thanks to the bellow pump technology installed therein, able to ensure low maintenance and long life to the equipment at a competitive price. It can also contain even 32 colorants with the 2.5-liter tanks. Various canister sizes are available too ranging from the more common 2.5 liters canister size to the others of 1,5 to 5 liters. Due to its small size BANCO COROB is a great solution for a wide range of customer needs that wish to have a stylish and customizable product. As an added touch the ABS panels can be personalized with your business logo. The intervention operations are easy and secure thanks to the height of fill that is only 1,250 mm. COROB BANCO is also equipped with a manual stool to allow an easy handling of cans. Those who choose to use COROB D600 gets the best response to their requests in terms of advanced technical solutions. Thanks to its ergonomics, fast computing performance, the time saved for the placement of cans, ease of use, production has greatly increased with COROB D600. The COROB value D600 means deciding to expand your business opportunities by using a good quality product, adaptable to your own needs. The innovation of COROB D600 means the ability to change the configuration of the machine according to the required application. Ability to design the paint systems up to 24 components, ability to install and add modules, along with so many others, represent our approach to how to re-think and re-develop everything of reliable realized in the past. COROB D600 is a compact tinting machine with ergonomic features of great success, with the latest generation electronics for fast, accurate and repeatable dispensing, providing the user all the traditional advantages of dispensers CPS Color Equipment. 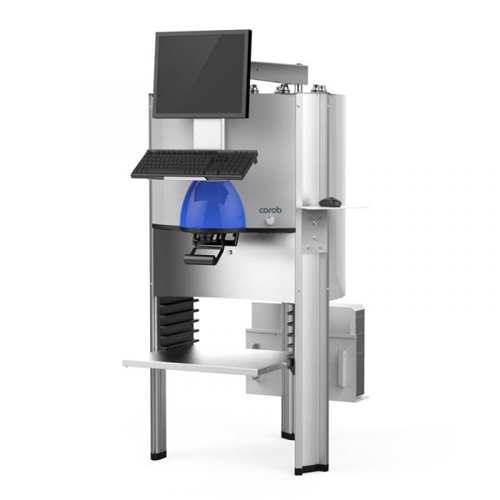 Configurable up to 24 baskets of different capacities, COROB D600 is a new solution for the DIY centers, Point of Sale, Deposits and Paint factory. COROB MODULA has been developed to meet your most demanding needs in terms of color. 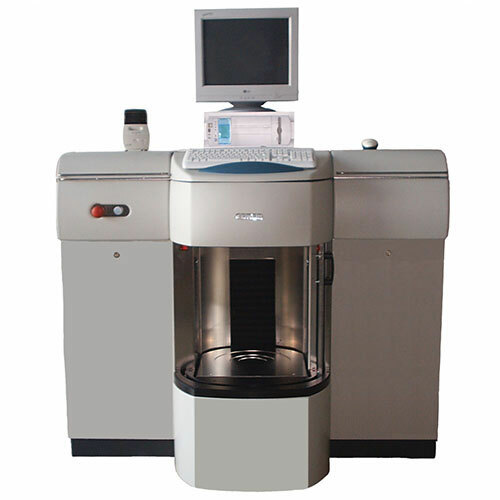 The highly efficient performance, given through its advanced technology, is designed and perfected by the CPS COLOR Equipment team to follow you now and in the future. COROB MODULA is your special and versatile solution for big stores, shopping centers and distribution points. Excellent quality represented by a superior product with an high reliability. 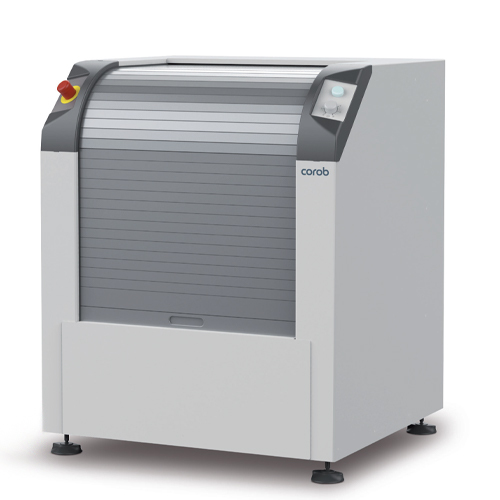 COROB Modula is an automatic and versatile dispenser, designed to handle the most complex dyes and the most demanding requirements in terms of performance and delivering of high volume production. The dispenser COROB MODULA allows simultaneous and automatic dispensing of dye in pre-filled cans of product bases, in order to obtain paints, coatings, enamels, inks of the desired color through the machine management program. The gyroscopic mixer COROBTM CLEVERmix 20 with a manual clamping system, allows the mixing of not flammable paints and varnishes, contained in metal or plastic cans. It is suitable to the processing of packages of varying size and cylindrical shape. With clamping plates suitably installed on request you can also shake square packs. It is also able to shake more cans at the same time. 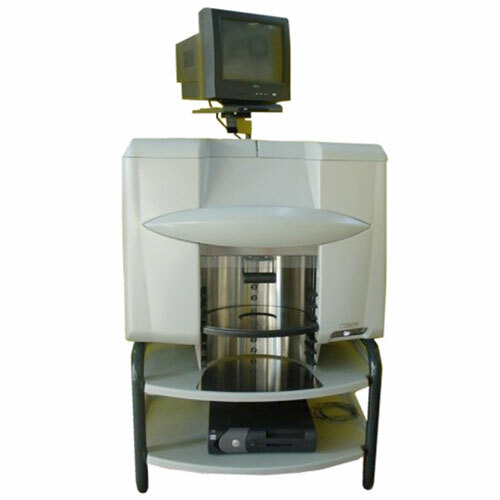 The machine is provided with a door formed by a sliding shutter and provided with a electronic security device that prevents the starting of the machine when the door is open. The positioning and clamping of the package must be performed manually by the operator. The mix cycle always ends with the can in a vertical position. LINVEA in collaboration with COROB, one of the largest global providers of advanced devices for Tinting systems, offers a wide range of colorimetric machines, from the basic one to the most powerful one; The key to the success of this collaboration is, without doubt, the wide network of support and direct technical assistance, both nationally and abroad. With over 250 Tinting System in Italy and a flawless technical assistance service, within 48 hours, LINVEA offers its customers the guarantee of a highly reliable, innovative and customizable product to suit your needs.